November « 2015 « Blog Marcos L. Mucheroni Philosophy, Noosphere and Ciberculture. It is not the economic crisis, it is only the most sensitive part of a whole systemic crisis involving culture, civilization processes, the correct understanding of the use of technology, and above all and mainly that is being who we are. 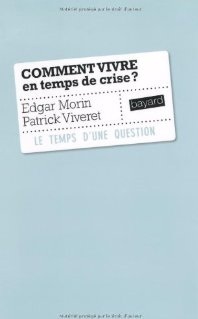 The book by Edgar Morin and Patrick Viveret, philosopher and former counselor of the government of Auditors Jospin an important mission which was to redefine what are in fact the indicators of wealth. Viveret authority is it because Réconsidérer wrote it Richesse (Éditions de l’Aube) and Pourquoi ça ne vas pas mal plus? (Fayard), but the partnership with Morin makes this significant fact speech for the moment we live on the planet. Just when everything seems to apply for disaster, perhaps this is just a superficial view of a changing world with many interesting opportunities. We must be ready to welcome the unlikely, and this can only happen to those who are attentive to positive use this crisis as a new opportunity for a new relationship with the democratic power, monetary wealth, but rather with what can make sense to all that we are living and witnessing. What Morin and Viveret deny are the conventional models, the already matured polarization and simplistic reasoning … the improbable can happen: a new era. Ciência Aberta (Open Science) é referente a uma nova tendência na prática científica, que a partir do desenvolvimento e com apoio da cultura digital, disponibiliza informações e dados em acesso aberto de forma oposta a pesquisas fechadas em grupos e laboratórios. Neste contexto a revisão por pares, como o Peerage of Science, o arXiv e a a PLoS confirmam essa tendência que agora desponta também nas redes sociais. Um exemplo do uso de redes sociais foi o estudo antimalária do pesquisador americano Jean-Claude Bradley e seus alunos. Eles compartilham informações sobre tudo o que produzem na pesquisa da Drexel University, na Filadélfia, cujo objetivo é desenvolver compostos orgânicos úteis para a prevenção ou para a cura dessa doença que mata mais de 1 milhão de pessoas por ano no mundo. Bradley usou o modelo de “wikis” para desenvolver o compartilhamento de dados em redes sociais, e foi na esteira desta pesquisa que nasceu o Creative Commons – fundado em 2001 nos Estados Unidos, visando ampliar o compartilhamento e uso do conhecimento por meio de licenças que que liberam o copyright (todos os direitos reservados) em áreas exclusivas para discutir ciência. A USP realiza nestes dias o o Encontro de Ciência Aberta, com diversas oficinas, palestras e uma mesa redonda para ampliar este horizonte no país passar a incorporar a iniciativa internacional chamada OpenCon. As inscrições são gratuitas, com oficinas na ECA, CCSL na Matemática da USP e no Garoa Hacker Club. The brazilian social debate after a court order requiring the USP to provide a miracle cure for cancer healing, phosphoethanolamine, the USP contested, now comes the prestigious scientific journal Nature, which defends the position of USP. 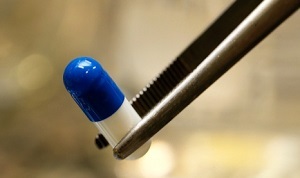 The last issue of the magazine brings along with an paper, the reconstitution of the way of the substance, from its preparation and an alleged efficacy, yet inconclusive tests until its unofficial distribution and because the Brazilian court decided to intervene to limit their circulation due to clinical tests are required to be distributed. The compound, phosphoethanolamine f, has been shown to kill tumour cells only in lab dishes and in mice (A. K. Ferreira et al. Anticancer Res. 32, 95–104; 2012). Drugs that seem promising in lab and animal studies have a notoriously high failure rate in human trials. Despite this, some chemists at the University of São Paulo’s campus in São Carlos have manufactured the compound for years and distributed it to people with cancer. A few of those patients have claimed remarkable recoveries, perpetuating the compound’s reputation as a miracle cure. Government refutes criticisms of negligence, but the dam Samarco (mineral enterprise) that poured into the center of the country a “sea of mud” may happen again in the region itself or in 138 other dams in the country that still use primitive methods of dams. Second report of the ANA (National Water Agency), dated September 30, 2014, only in Bahia State has 33 dams in the high risk category. When passing helicopter the area hit by the “sea of mud”, made a week after the rupture of dams, the president said he had sent the Minister of National Integration and the National Secretary of Civil Defense in the region on the first day, but nothing was done. The sea of mud has reached the populous regions of Governador Valadares and Colatina (ES), and the water supply is compromised, the region is too large to be supplied only by water kites trucks. 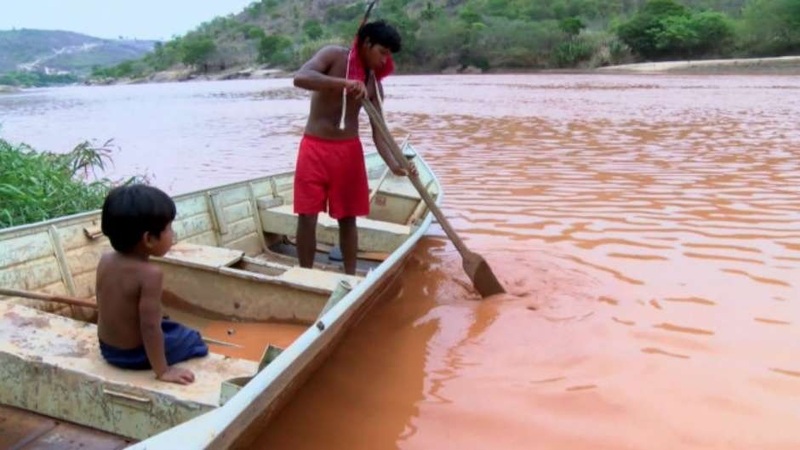 In a report of a television program on Sunday (15/10) cracks were shown in another dam Samarco mining company, and has been shown as they are poorly monitored another 700 dams that exist in the country. In São Paulo State, there is a similar risk to the Mariana in the city of Aluminio, near Sorocaba, the municipality of aluminum, has a dam located behind a massive rock wall, near the village FEPASA, the tailings dam Mining Companhia Brasileira de Aluminio (CBA), part of the Votorantim Group. The dam Palmital Votorantim Metals stores the generated red mud from bauxite residue conversion aluminum oxide (alumina), can break due to the intensive use of caustic soda in the separation of components. The West mentality understands little or nothing of what happens in the Arab and Muslim world, for it added to prejudice and intolerance, radicalism tends to grow. 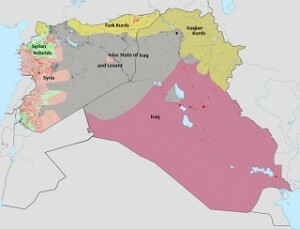 Muslims in the same way that Christians, Buddhists and thousands of Indian religions, it is not uniformity, and also the political vision and geopolitics are different, an example of this is the Western indifference toward the Kurds, who are fighting north of Turkey and the Islamic state for its own survival. The Islamic state has grown during the Civil War in Syria, through the complaints against Bashar al Assad dictator who is “tolerated” by the West and “ally” of Russia, now with the attacks in Paris, this may change, because it can all West is align the Syrian dictator. Iraq War peak, the predecessors of the Islamic state who also fought against Saddam Hussein that belonged to the Sunnis, were in the Iraqi province of Al Anbar, Ninawa, Kirkuk and most of Salah-ad-Din and regions of Babil, Divala and the very Baghdad, and they had declared Baguba as its capital, during the war of Syria expanded to Air Raggah, Idlib and Aleppo. Islamists are themselves the ones who suffer most from the Islamic State, rapes and beatings are common practices to master the most tolerant and open Muslim denominations, and this grows to the extent that the territory and the bellicose forces of the Islamic State advance. Political and religious intolerance that we impose the Muslim world is the yeast that makes the radical move, the recruitment of young people and the cruelty of the soldiers increase. Kurds, descendants of the ancient Medes and so are the people “originating” that area for millennia, with a population of nearly 40 million, is ignored by the West, rejected by Turkey and Syria, and the ones who make attacks by land to Islamic state, since Iraq has a disjointed army and Syria has divided its territory.